This is the first thing I have ever been paid to write, published in the Salvation Army’s quarterly magazine, Caring. 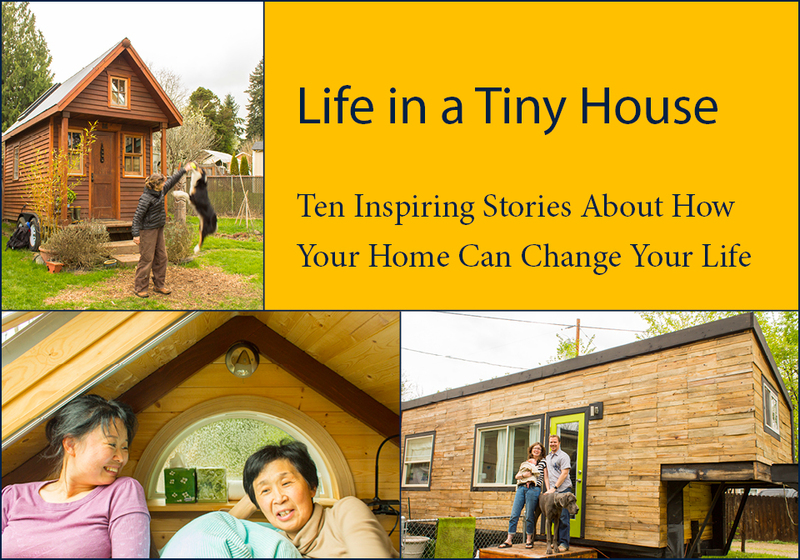 Tiny houses are making lots of headlines these days, you see them everywhere it seems. After designing, building and occupying my own 196 s.f. home it’s funny how often I find myself explaining that it’s really not about the house, the house is just a possession. It’s all about the lifestyle it enables. Everyone has their own reasons to minimize and downsize, mine had to do with creating a lifestyle free of debt, full of learning and creating the flexibility to do what I want with my days, everyday. There are a lot of uncertainties when you are considering a tiny home, legal issues, location issues, technical construction concerns, explaining to loved ones how you, a single person, let alone a couple or family, can exist in an area roughly equal to the size of the average American’s master bathroom. It certainly won’t work for everyone and shouldn’t. But if it is right for you, it’s so worth the journey! To create your own home, with your own hands… there is nothing quite so challenging and so empowering. Creating your own tiny house is hard, it’s an act of deep introspection, it’s physically demanding, it’s emotionally taxing figuring out what YOU need and want from life. 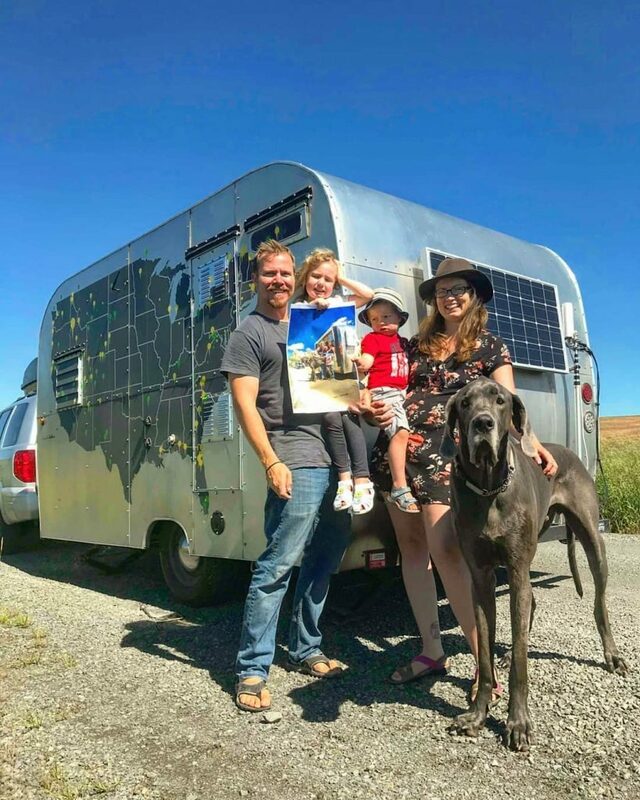 My home is a completely reactive tool specifically for myself and my family, there is no one size fits all when it comes to tiny homes. Every tiny house is unique because every individual is unique. But living tiny is not about compromising anything. It is about examining what you want from life and making THAT happen for yourself. 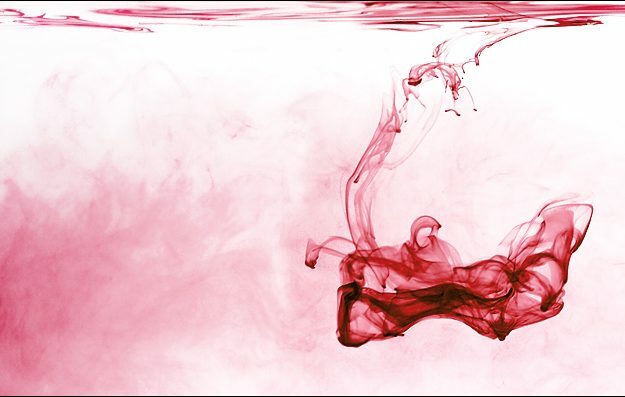 It’s doing without all of the excess so that the important parts of life can become central. 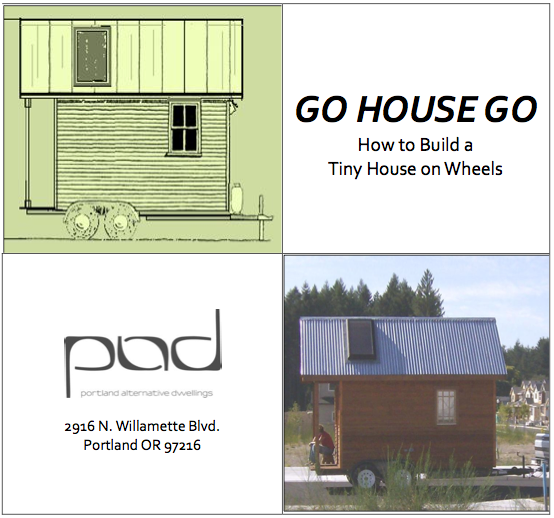 Tiny House Movement, Trend or Tradition? There are a lot of people interested in tiny homes for all kinds of reasons, it’s pretty amazing how many demographics the idea transcends, empty nesters, college students, singles, couples, families, etc. It just makes sense in some cases. It is not a new concept though, historically houses were much smaller than today. While 200 s.f. may have been a bit on the extreme side of small it was not uncommon, even as a family home. As an architectural designer, the reason I became involved in the built environment is that I don’t like the ‘bigger is better’ trend, I believe there are ways things can be done better and more sustainably, particularly on the residential level. We as Americans cannot keep up this pace of using more, less effectively. I have a personal desire to do more with less and teach that to my family and as many others who are interested. As technology has advanced, we are able to condition our buildings via a/c and furnaces, we can streamline the building process by grouping homes in subdivisions (assembly line style) and we have been able to provide more houses, cheap. Designs are done to the lowest common denominator, meaning what will MOST people want. The shortcomings in reactive design are made up for by adding ‘bonus rooms’ and extra space that can be whatever the homeowner wants without actually considering what the homeowner wants. It’s great that this has made housing more accessible over time but all of that comes with upkeep costs which have also increased over time, heating, cooling, HOA fees, etc. At this point there is a group of people reacting to this trend who want to do things differently. 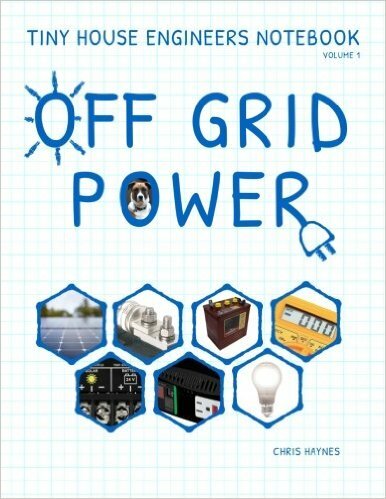 They want to get back to reactive houses that cover human needs without being such a drain on time and finances. They want to redefine what is important in life and be able to focus on that more intentionally. 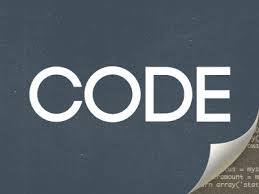 Unfortunately codes don’t always allow for that. 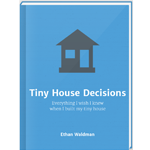 Most areas require a minimum square footage of a house be maintained which is why most tiny houses you see are placed on wheels, this takes them out of the building department’s regulations and allows a loophole for smaller dwellings. Even though the houses are on wheels it doesn’t necessarily mean that they are going to be moved often, most don’t move much at all. 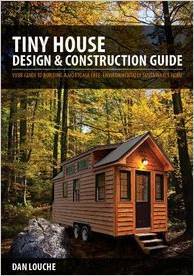 The legal path of a tiny house classifies it as an RV but unlike RV’s they are built efficiently and for longevity. They can be lived in in all four seasons which is tough in a standard RV. An interesting thing about tiny homes is that they are not designed for ‘resale value’ like standard housing, but for living value, right now. They are often designed specifically for the occupants and therefore less universally valuable. They pay for themselves in savings very quickly and so can be a short term solution to fix financial issues but those who live tiny generally do for longer than anticipated. When I started my own tiny house journey I took it as a challenge, I was committed to taking one years worth of rent payments, building a house so I could learn actual construction skills and the specifics about various ‘green technologies’ first hand, then live in it for two years so that it could pay for itself. I thought it would be a tough transition from my previous 2,400 s.f. home. I was so wrong. It streamlined my life, clarified my path, my important goals (like being debt free) very quickly became realities and excess complications drifted away. Though the path was extremely challenging, today (well past my two year goal) my priorities have shifted, my worries are few, my wants are minimal and every day I am able to enjoy the gifts given to me in life. What it’s like to live tiny, really? My family and I have been living tiny for two and a half years at this point, our home was 196 s.f. until July 2015 when we added on a small child’s room, bringing our home to 232 s.f. Currently our family consists of myself and my partner, James, our daughter, Hazel, our son, Miles and our dog, Denver. When I designed the home it was designed for two adults and a dog with room for growth. Once we had our daughter we didn’t feel the need to expand but with another one coming we felt the time was right to add a room so that we had separate nap areas for the kids. The house is designed specifically for us and for that reason it functions very efficiently, with the new addition we foresee the home meeting all of our needs for at least another 3-4 years but it could be longer. When people ask me what it’s really like I am always at a loss for how to explain it. For us it is just like living in a non-tiny house but with more free time and less upkeep. 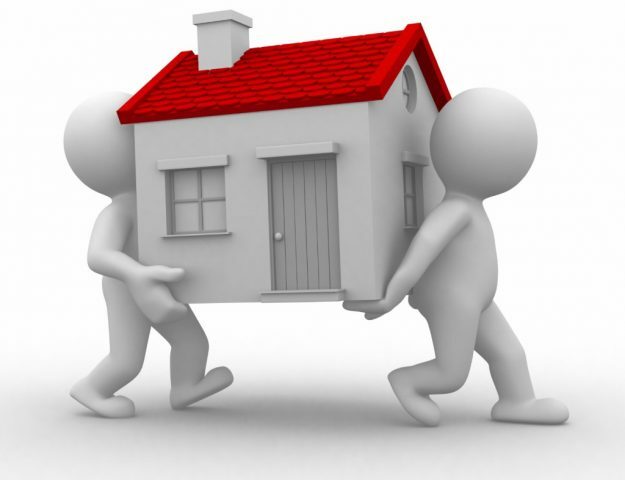 We have everything we need and want, we just don’t have all the extra space that usually comes with traditional housing. Living tiny is certainly not for everyone but James and I have always been pretty minimalistic. We enjoy traveling, spending time outdoors and working on our hobbies. What is different than a standard house is that our monthly expenses went from upwards of $4,000 a month to around $400, that provided us the opportunity to become debt free very quickly, both paying off student loans, car loans and credit debt. Furthermore it has provided the ability to be selective about how we earn our income since we don’t need to earn as much. We are able to work on only projects we love and spend more time being present with our family. I couldn’t dream of a better situation for our lives! Sure there are moments or even days that it’s not all rainbows but living this lifestyle has allowed us to live with less stress and have the ability to slow down, view challenges as something we ‘get’ to do rather than something we ‘have’ to do. That small change in perspective means a world of difference between a crowded kitchen being a frustration verses it becoming a fun dance. We relish in our families closeness, both literally and figuratively and wish the same happiness and simplicity for everyone. An Update On The Eviction! About that last paragraph. I don’t think there is any lifestyle that is all rainbows. Seems to me like y’all have found the one that works for you that gives you the most rainbows though 😉 You continue to inspire me and, at the risk of being redundant since I think I mention this every time I leave a comment, yours is still my favorite design of all those I’ve seen. 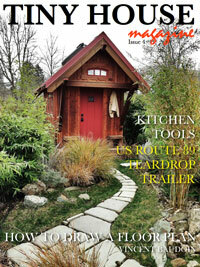 Your articles are among the very best I read about the Tiny House movement. “Living the Talk” gives them a credibility that many could follow in your footsteps. Keep them coming. Thank you! That is a very kind thing to say! I know I could never have been able to explain it the way you have. Wonderfully stated. Never Give Up … Never Give In … Never Surrender!!! Love This! 😀 I actually just posted a whole blog post on if the tiny house movement was just a trend and I think we hit on a lot of the same things. Even if it is just a ‘trend’ I think it’s bringing up a ton of important issues and allowing our generation to ask some serious questions about how we want to live our lives. Great article, as usual. I have watched literally hours & hours of YouTube videos on Tiny Homes and Design. 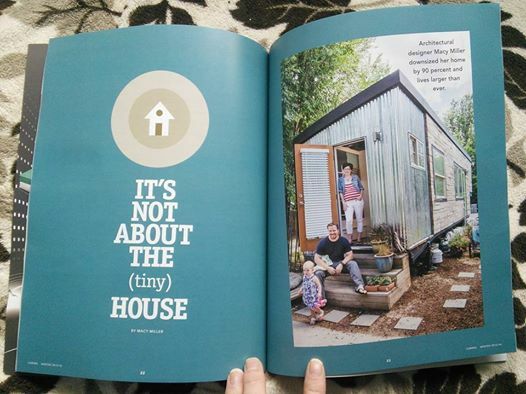 Your interview with Tiny Homes Giant Journey was & is a stand out. Your home was introduced as a famous tiny house. It truly is. I hope you keep in your heart the 1000+ people who treasure your home, your lifestyle and blog – especially when you encounter weird looks or derogatory comments.